It's important to us to keep you informed about changes in medical physics regulations -- and it's also our pleasure to keep you informed as part of our commitment to customer service. Read our blog often for the latest updates and expert medical physics advice from our skilled team. Integrated Science Support, Inc. enters a new era with the retirement of its founding members, Dr. Jon Erickson and Shirley Bartley. They began ISS in 1992 and worked hard to build a company known in the medical physics field for its expertise and responsiveness to customer requests. Dr. Erickson’s last day at ISS was September 30th, while Shirley Bartley retired earlier in the year on April 1st. 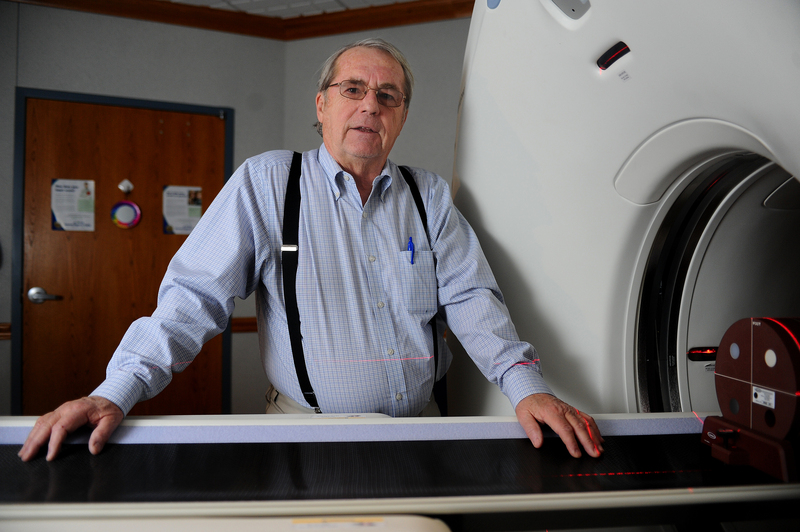 Dr. Erickson has had a long career in the medical physics field. 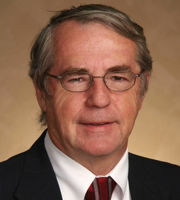 He received his doctorate in physics from Vanderbilt University in 1972 with the PhD thesis Applications of Computers and Digital Techniques in Clinical and Investigative Nuclear Medicine. He then joined Vanderbilt’s faculty and became a professor of radiology where he continued to develop the use of computers in medical physics and performed one of the first digital ultrasound studies. Dr. Erickson has written many papers throughout his career which have been published in the journals of Medical Physics, Clinical Nuclear Medicine, and Investigative Radiology, among others. 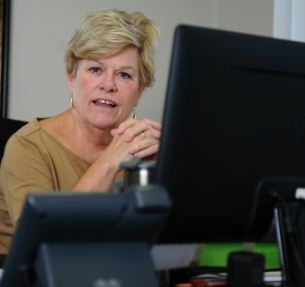 Shirley Bartley works at her desk. Shirley Bartley has also had a long history in the medical field. She completed the St. Joseph Radiologic Technology Program in 1970 and went on to receive her bachelor’s degree in radiologic technology from Salem International University. For many years Shirley was the Director of Radiology for the Heartland Health Hospital System (now Mosaic Life Care) but she is best known for starting and directing the Radiography Program at Hillyard Technical Center in St. Joseph. There she trained many students to become the radiography technologists that ISS continues to interact with today. Dr. Erickson gives an explanation to the ISS team. 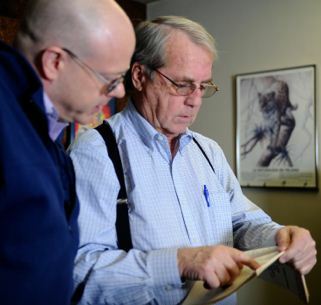 In April of this year Dr. Steve Hale Jr. and Greg Sackett purchased ISS from Dr. Erickson and Shirley Bartley. A new medical physicist, Kevin Sweeney, and office manager, Robin Sackett, joined ISS in January. The entire ISS team wishes Jon and Shirley the best of luck in their retirement and great thanks for leaving us such a strong legacy to work from. We will continue to build on our expertise in the medical physics field and provide the excellent service we are known for. By Stephen Hale, Jr., Ph. D.
The Joint Commission has released an update to the Standards for Diagnostic Imaging Services. Two new Human Resources (HR) elements of performance (EP) for accredited hospitals, critical access hospitals, and ambulatory care organizations that provide diagnostic imaging services were originally announced in March 2016. They were to become effective on September 1st of 2016. Both were targeted towards those performing computed tomography, or CT, exams. After these new EPs were announced, feedback to the Joint Commission expressed concern about the ability to comply with the new requirements by the original required date of January 1st, 2018, particularly in rural and critical access hospitals. The first new EP, Standard HR.01.02.05, EP #19, included a note that stated that CT technologists would be expected to obtain advanced level CT certification by January 1st, 2018. This note has been deleted in its entirety. Certification in nuclear medicine technology by ARRT or the Nuclear Medicine Technology Certification Board (NMTCT) and documented training on the provision of CT exams. The second new EP, Standard HR.01.05.03, EP #26, required that CT technologists would participate in education that would prepare them to achieve the advanced level CT certification by January 1st, 2018. This EP has been suspended. Integrated Science Support seeks to keep our clients updated on any regulation changes that can impact their business. We provide qualified expert services in Missouri, Kansas, and Iowa. Contact us today to find out how we can help you maintain regulatory compliance as well as achieve excellent patient care in the diagnostic field. The Federal government is once again pushing healthcare providers into upgrading their x-ray technology to digital radiography (DR). To do so, Medicare will begin reducing payments for exams performed using analog x-ray systems (i.e., film) starting in 2017. Medicare will also begin phasing in reductions in reimbursements for exams using computed radiography (CR) equipment starting in 2018. Under the 21st Century Cures Act of 2015, SEC. 4003 (H.R.6 – 21st Century Cures Act) specifies the reduction in reimbursement for non-DR exams. This appears to apply to both hospital and outpatient imaging services. 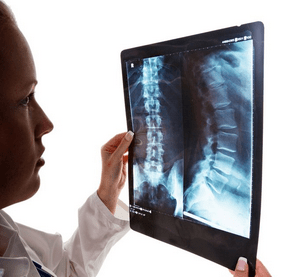 Medicare payments will be reduced by 20% for claims using film for x-ray studies starting in 2017. Beginning in 2018, imaging studies performed with CR will undergo progressive reductions in reimbursement, with payments reduced by 7% for the next five years (2018-2022), and reduced by 10% after that. Integrated Science Support understands that we have many clients that still utilize these imaging technologies, particularly CR, and wanted to make sure that our clients were aware of these upcoming changes. How an individual provider wishes to deal with these changes will depend on the specific circumstances of the facility, but we recommend reviewing your patient population to determine if these decreases will have enough of an impact to warrant upgrading to DR in the near future. Integrated Science Support, Inc., works to provide qualified expert services in Missouri, Kansas, and Iowa. Contact us today to find out how we can help you maintain regulatory compliance as well as achieve excellent patient care in the diagnostic field. The inspections only deal with mammography accreditation and not with any other modality. The inspection team consisted of a radiologist, a physicist and a representative of the American College of Radiology. Each team member had a specific set of responsibilities. The radiologist reviewed a number of patient studies, looking at technique, positioning, image quality and the diagnostic report for each patient. The physicist reviewed the past two physics inspection reports and the technologist quality control records. He looked at 5 phantom images from the technologist’s past QC weekly tests and compared his evaluations with the recorded technologist evaluations. He also made one phototimed phantom exposure of his own using the facility’s mammography phantom with a dosimeter attached. The ACR representative reviewed paperwork. She looked at all of the qualification records for all of the personnel, including the facility’s physicist. She asked to see initial qualifications, continuing education, continuing experience and 8 hours training in new modalities (digital) for everyone. In the “Validation On-Site Survey Notice”, i.e., the letter saying they were going to visit, the facility was encourage to invite their physicist, service engineer or anyone else interested, to be present. At the completion of the survey an exit interview was held with all of the interested personnel from the facility. Each of the survey team members went over their findings and in some instances made suggestions for what they saw as possible improvements. A preliminary one or two sentence written summary from each team member was given to the facility. A follow-up official summary is to be sent later. Over all the survey team was very efficient, well organized and pleasant to deal with. Their suggestions made for improvement were reasonable and are being considered. The entire survey took about two hours. Just one additional note. The introductory letter informing the facility about the impending visit stated that the survey team could look at other modalities during the visit. However, when questioned about this they stated that they were only interested mammography. Why Do I Need To Have My Machines Inspected By A Physicist? On occasion when we are visiting with a potential client, we’re asked what benefit a physics inspection of the equipment provides. One thought commonly expressed is that since preventive maintenance (PM) is done on a regular basis, there should be no reason to have another testing procedure in place. Another concern on everyone’s mind is the cost, both monetarily and in terms of having a system out of commission for a time during the testing. For owners of registered x-ray equipment in Missouri, a new program being implemented by the Department of Health and Senior Services (DHSS) effective January 1, 2014, will require that all x-ray machines are inspected by a Qualified Expert (QE) on a regular basis. All 4 inspectors at Integrated Science Support (ISS) have achieved QE status under the new state program. The frequency of this inspection depends on the types of equipment present at the facility. All registered facilities should have received a letter from DHSS by now explaining the new inspection system and informing them of their survey due date. The QE will perform the machine inspections and then report their findings to the state for each facility before the due date. Testing results from the previous 12 months can be submitted, so as to avoid rescheduling any previous arrangements between the facilities and the medical physicists. In Kansas and Iowa, state regulations require annual inspections of x-ray equipment. The results of these surveys must be available for inspection by the state. In addition to regulatory reasons for having your machines inspected on a regular basis, there are patient care aspects that are directly impacted by the performance of the x-ray equipment. Tests that are performed by ISS’s inspectors can find a variety of problems that aren’t immediately apparent to the end user and that can contribute to patient harm. One test that is performed regularly on all fluoroscopic equipment is the alignment of beam limitation collimators with the image receptor. The typical requirement is that the x-ray field itself must fall within 3% of the source-to-image distance (SID) of the image receptor. Automatic collimation of the system should occur when magnification modes are changed, but it is not uncommon for our testing to reveal that when a mag mode is selected, the collimation does not decrease the size of the x-ray field. On at least one occasion, a mobile C-arm fluoroscopic device was found to be within the 3% limit on the normal mode, but when all magnification modes were chosen, the collimators failed to decrease the radiation field. Any patient being examined with this device would have excess tissue exposed to radiation without any visible image being created for diagnostic purposes. A quick note to the biomedical support services at the facility resulted in the problem being fixed. Integrated Science Support works to provide qualified expert services in Missouri, Kansas, and Iowa. Contact us today to find out how we can help you maintain regulatory compliance as well as achieve excellent patient care in the diagnostic field. The inspection of radiation protective aprons is a mysterious requirement without much guidance. Many hospitals and clinics have heard something about inspecting aprons, but many have questions as to what they need to do. The primary requirement for protective apron inspection is given by the Joint Commission. Some States also require inspection of protective aprons but Missouri, Kansas and Iowa do not have any such requirements. This means that technically only those institutions accredited by the Joint Commission are required to inspect their protective aprons annually. The Joint Commission requirement may be satisfied by physical inspection OR fluoroscopic examination of protective aprons annually. While fluoroscopic examination is believed to be more thorough, it may not be necessary for newer aprons and may deliver unnecessary exposure to the persons testing the aprons. Fluoroscopic testing may be considered for aprons considered suspect following physical examination. If fluoroscopic testing is performed, low technique factors and not automatic exposure control should be used to reduce operator exposure. Uniquely identify each item of protective equipment with a number and some method of determining when it was last inspected. This may be done on the label/tag itself or with a database that tracks all of the items and when they were inspected. If a database is used, results must be available for inspection by the Joint Commission. Develop a procedure for inspecting the protective equipment, either physically or fluoroscopically (or both). Tears, perforations, or seam separation. Holes larger than 15 mm2 unless it is not positioned over a critical organ. Velcro that is no longer functioning. Aprons determined to be defective should be removed from service immediately and disposed of properly (as hazardous material/waste if they contain actual lead). Establishment of a protective apron inspection program may not be required at your facility but should be considered in order to give assurance to staff that the protective equipment they have available is not defective. Responding to patient concerns and questions about radiation risk can be one of the most challenging duties facing technologists and physicians. Patients often arrive with preconceived notions of risk based on misinformation they have seen in the media or read on the internet. They may be scared or even hostile towards the caregiver attempting to complete a prescribed procedure. Use positive or neutral terms and no jargon. Use examples to help the patient understand. Don’t speculate, discuss only the procedure being performed. Do not attack the patient’s beliefs or a source of misinformation. Ask if you are being understood. Ensure the patient that the procedure will be performed using good radiation safety practices that are designed to keep the doses as low as possible while still generating the diagnostic results required. Be careful generalizing risks, as future cancer risk is highly age dependent. Many radiation induced cancers have latency periods of 10 to 20 years. While individuals over 60 have minimal cancer risks from radiation exposure, children have a lifetime risk of 10-15% simply due to the length of time available for cancer to appear. One aspect often overlooked when discussing radiation risks is the BENEFIT to the patient of the procedure being performed. The risks of NOT performing an exam include missing a diagnosis and/or initiating treatment too late to improve the medical outcome. This risk must be considered in conjunction with the latency period for radiation-induced cancer and the age of the patient. The use of radiation in healthcare saves thousands of actual lives every year, while the entirely theoretical risks predicted by risk models are orders of magnitude smaller. Ensure that the patient understands why the procedure is being performed and the benefit to their immediate health. If the patient has questions that you cannot answer, they may be referred to the Radiologist or Radiation Safety Officer of your institution. You may also refer them to trusted websites like RadiologyInfo.org that are designed to answer patient questions about Radiology and Radiation Safety. What Can We Say About Patient Dose in CT Exams? By Stephen E. Hale Jr., Ph.D. Radiation dose from Computed Tomography (CT) exams has recently become a hot topic among the medical community, the legal community, and the public in general. Overdoses from brain perfusion studies at several medical facilities in California and Alabama have contributed to this rise in concern. But what can a CT technologist or radiologist actually tell their patients about the amount of radiation administered during a CT exam? 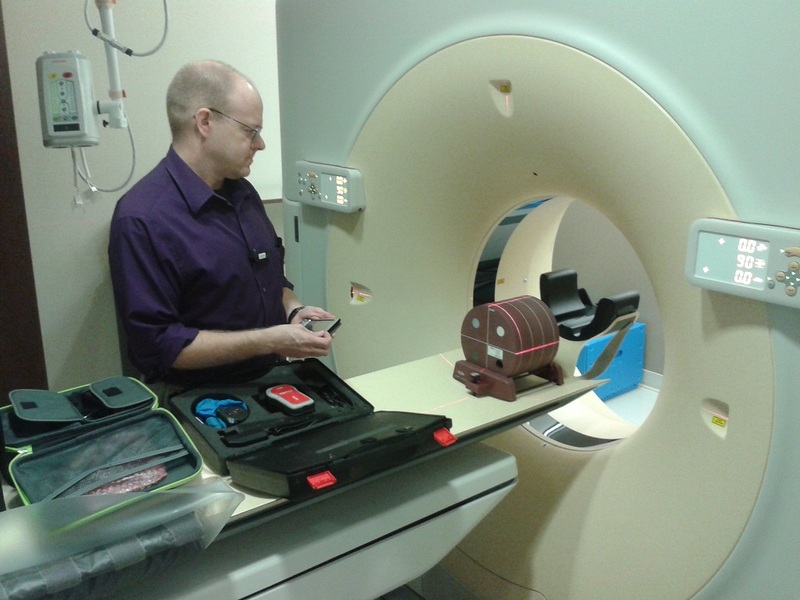 Each CT machine will typically provide both an estimated CTDIvol and DLP value before an exam is conducted. CTDIvol stands for volume Computed Tomography Dose Index, while DLP stands for Dose-Length Product. Neither of these is actually a measure of the dose a patient will get from the exam. They are actually designed as metrics for comparing one protocol to another, one machine to another, or even one facility to another, in terms of the amount of radiation produced by the system. As such, they can be used to guide adjustments to the techniques of a given protocol, such as kVp, mA, rotation time, mAs, or even pitch for helical scans. Dose is defined as the amount of energy absorbed from radiation passing through material divided by the amount of mass that is actually absorbing the energy. The more energy absorbed in the same amount of matter, such as a patient’s body, the more dose is absorbed, and therefore the greater potential for damage. Similarly, the same amount of energy absorbed in a smaller body will also result in a greater potential for damage. The CT machine has no knowledge about the patient who will be scanned nor what portion of the patient’s anatomy will be examined. If a large patient is scanned with the same techniques as a small patient, the smaller patient will have less mass exposed to the same amount of radiation, and thus experience a higher dose. Different portions of our bodies are more sensitive to radiation than others. Thus having a CT exam with a set of technique factors over a patient’s feet will have much less detriment to the patient than the same exam over a patient’s head. A good analogy to this situation is that of a tachometer in a car relative to the car’s speed. The tachometer displays how many revolutions per minute the engine is spinning the crankshaft, but it has no knowledge about the gear selected by the transmission or the size of the wheels and tires on the car. For a given RPM, a higher gear means a faster speed. Similarly, if the wheels and tires are replaced with a larger set, a given RPM of the engine and the same gear will result in a faster speed. The CTDIvol and DLP values are the equivalent of the tachometer, reporting how the CT machine is performing. But without information about the patient undergoing the procedure, nothing can be said about the dose absorbed. Without knowledge of the patient’s size or the anatomy being scanned by the CT, it is not possible to tell the patient how their radiation dose compares to other sources or exams. 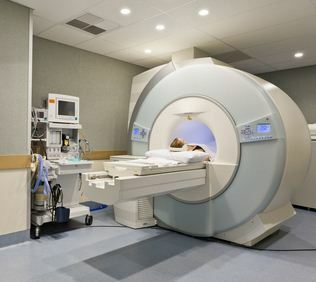 With images of the patients and information about the parameters of the exam on the CT system, physicists can calculate actual radiation doses to patients. This is one of the many services provided by Integrated Science Support, Inc. The new technologist at the hospital radiology department went to do a portable in the ICU. The patient looked average size. She looked for the technique chart to set the correct exposure factors. There was no chart to be found. She guessed at the technique based on what she could remember from the last place she worked. When the new tech returned to the department the supervisor was reviewing the image. “You are going to have to repeat this portable chest. There is an image quality problem. You didn’t penetrate the mediastinum.” The supervisor told the new tech. If the kVp is too low the anatomy will not be properly penetrated. The fine detail in dense areas of the body will just not be there. This will jeopardize the radiologist ability to make a correct interpretation of the patient’s condition. A few minutes later the new tech was working in room 2 with a seasoned employee. The new tech selected the radiographic technique from the anatomic programing feature on the operator’s consol. “Don’t use that. It doesn’t work. I have my own technique.” The new technologist made a mental note to try to remember the technique. Without standard technique systems that are used by everyone image quality will be inconsistent. It is difficult for the radiologist to see changes in the patient’s condition when totally different radiographic technique is used. Technologist that just “remember” their own techniques are frequently wrong. With digital systems the image that is over exposed no longer comes out black. The only way we can determine that the patient was over exposed is with the exposure indicator value. The AEC unit that is not properly calibrated will not produce the correct quantity of radiation for the image. When the exposure indicator value is ignored the patients may be overexposed unnecessarily. These three situations describe common problems for image quality and patient dose. ISS, Inc. can assist you in maximizing image quality while keeping patient dose as low as reasonably achievable (ALARA). For more information access our recent white paper. Have you thanked a medical physicist today? Medical physicists are the people behind the scenes making sure ultrasound, MRI, CT scans, mammography and other types of imaging equipment all working to their utmost accuracy, and that the clinics and hospitals using them have the technology available to maintain regulations. This is also true for dentistry clinics and veterinary clinics who use imaging technology. Headquartered in St. Joseph, Mo., but serving the states of Missouri, Iowa and Kansas, ISS, Inc., provides inspections, audits and troubleshooting for several types of radiological and imaging equipment used across medical fields, dentistry and veterinarian services. It’s a specialty field, but ISS, Inc., stands out for our experience, knowledge and commitment to customer service. 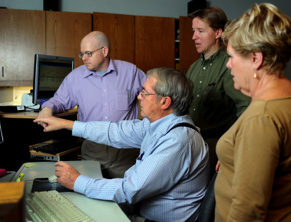 Many of our clients have received service for education, accreditation, audits, and design plans for imaging for years. Many clients have saved precious hours when equipment — such as mammography or ultrasound — needs an inspection or a plan for repair by working with our team at ISS, Inc.
We’re also the first medical physicists in the state to complete the criteria for Qualified Expert status. The title is critical because it’s required by a recent change in an existing Missouri rule. The Missouri Department of Health and Senior Services has stated that all hospitals and clinics must call a Qualified Expert in radiation safety for a periodic radiation safety survey. Only medical physics experts who have been radiation safety registered and approved by the Department of Health and Senior Services can perform these surveys. Many of our clients also rely on ISS, Inc., for radiation safety and ACR accreditation counseling. In most cases, we can respond within a day to medical physics needs – meaning clinics continue providing the best in imaging services and patients get top accuracy in care.